In October of last year, the Archdiocese of Baltimore learned of an allegation of sexual abuse of a minor against Father John Lippold, 79, a retired priest residing in Baltimore County. The alleged abuse occurred in the late 1960s and early 1970s while the priest was serving as Associate Pastor at Ss. Philip & James Catholic Church in Baltimore. The individual alleges she was abused on a number of occasions over a two-year period beginning in the late 1960s when she was a parishioner at Ss. Philip & James. The allegation was immediately reported to civil authorities in Baltimore City, which instructed the Archdiocese not to take any further action, including continuing its own investigation or making contact with Father Lippold. Recently, the Archdiocese received permission from civil authorities in Baltimore City to resume its investigation and representatives of the Archdiocese met with Father Lippold. At that meeting, Father Lippold denied the allegation. The Archdiocese revoked Father Lippold’s faculties to function as a priest, pending the Archdiocese’s investigation. In accordance with Archdiocesan policy, counseling assistance has been offered to all those affected. John Lippold was ordained a priest in 1957. In addition to serving at Ss. Philip & James in Baltimore from 1967-73, he also served at St. Bernard, Baltimore (Associate), 1957-62; St. John, Frederick (Associate), 1962-67; Shrine of the Sacred Heart, Baltimore (Associate, Pastor), 1973-74, June 1989; All Saints, Baltimore (Pastor), 1974-76; St. Ann, Naples, Fl. (Associate), 1976-77; St. Philip Neri, Linthicum (Associate), 1977-78, 1989-2009; St. Mary, Star of the Sea, Baltimore (Pastor), 1978-1989; Our Lady of Good Counsel, Baltimore (Temporary Administrator), 1981. 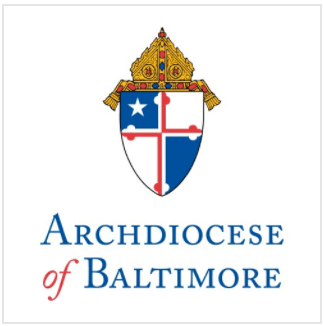 The Archdiocese of Baltimore is committed to protecting children and helping to heal victims of abuse. We urge anyone who has any knowledge of any child sexual abuse to come forward, and to report it immediately to civil authorities. If clergy or other church personnel are suspected of committing the abuse, we ask that you also call the Archdiocesan Office of Child and Youth Protection Hotline at 1-866-417-7469. If you have any other information relevant to this matter, please contact the Archdiocese Office of Child and Youth Protection at (410) 547-5599.